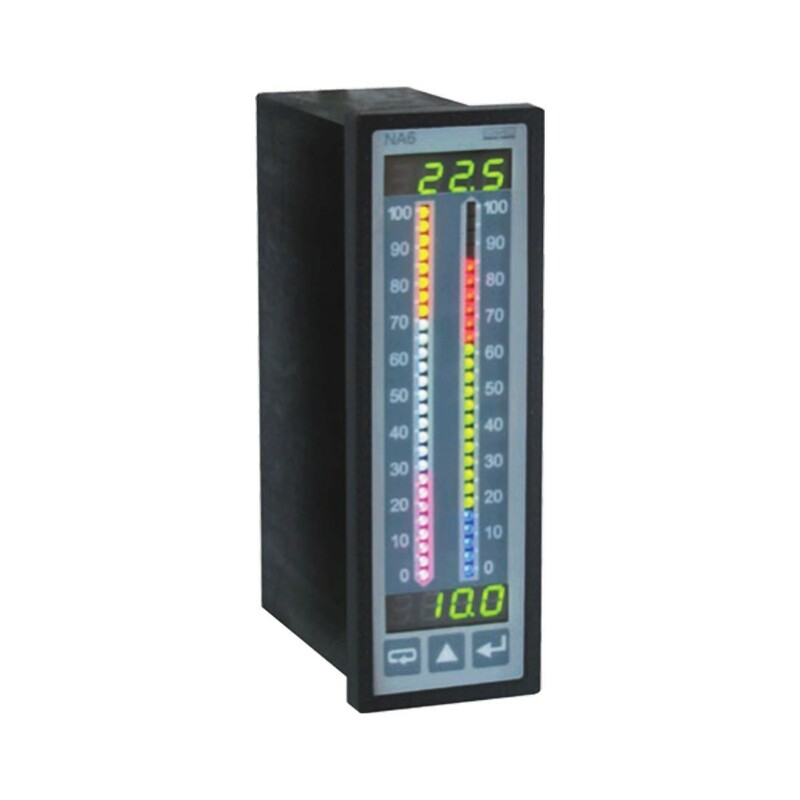 Three or seven color digital bargraph can be programmed to display different colors based on the measurement value. The NA6 has a universal input which can directly accept RTD's, Thermocouples, or a pure resistance value. In addition to temperature signals, it can handle voltage or current. Measured values can be converted to a standard (4-20MA or 0-10V) analog signal or communicate directly using RS-485. Alarms can be triggered using the four available electro-magnetic relays.